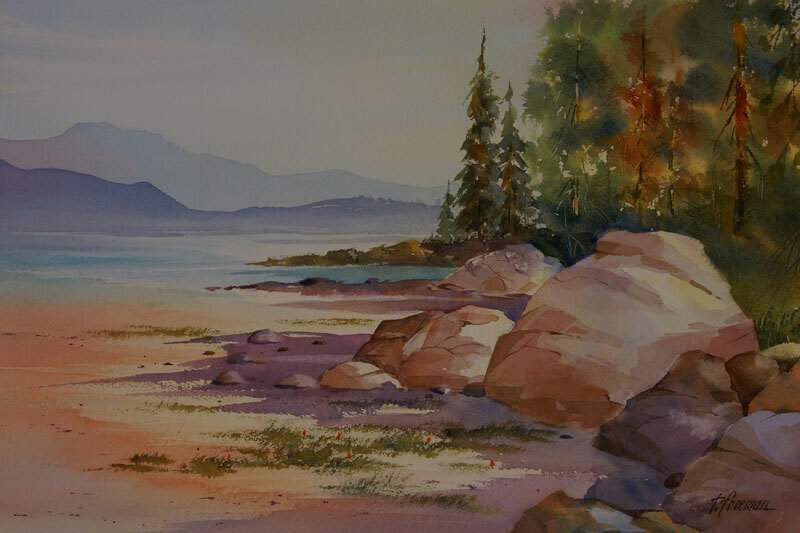 Thomas Freeman Original Watercolor Painting: "Tahoe Afternoon"
A family hike through Sugar Pine Point State Park included a stroll by the shores of Lake Tahoe where I came across this scene. I used this as a demonstration painting for an August 2003 article in Artist's Magazine. The painting was photographed in various stages of completion for illustration purposes.